On September 18th, at 03:33pm, Hillsdale PD had in their custody, 37yo male from Paterson NJ, Curtis J. Wheless. Wheless was said to have an active warrant out of Secaucus in the amount of $1,000.00. Wheless also had an active warrant out of Paramus in the amount of $500.00. Wheless was remanded to the Hudson County Jail. On September 17th, at 11:24pm, an Officer spotted a suspicious vehicle/person in the area of a construction site at 100 Plaza Drive. A motor vehicle stop was subsequently conducted and 50yo male from Wood Ridge NJ, Patrick J. Beety was arrested. As a result of the investigation, Beety was charged with Burglary, Theft, Possession of Burglary Tools, and Conspiracy to commit Burglary/Theft. Beety was said to be in possession of three circular gas powered saws that belonged to the construction site. Beety’s bail was set at $50,000.00 cash/bond. On September 20th, at 03:58pm, during a motor vehicle stop in the area of 1309 Paterson Plank Road, 29yo male from Teaneck NJ, Hassan A. Coleman was arrested. The stop was for a random inquiry which resulted in a Suspension hit. Coleman was said to have an active warrant out of Bergenfield in the amount of $200.00. Coleman was issued motor vehicle summonses for driving while suspended and driving without a license. Coleman’s bail was posted and he was released. On September 20th, at 04:41pm, during a motor vehicle stop ion the area of 550 Secaucus Road for tinted windows, 28yo male from Jersey City NJ, Jesse E. Elsouly was arrested. Elsouly was said to have an active warrant out of Jersey City in the amount of $100.00. Elsouly was issued motor vehicle summonses for Use of unapproved equipment, driving while suspended, and driving with a suspended registration. Elsouly’s bail was posted and he was released. On September 20th, at 07:57pm, during a motor vehicle stop in the area of County Avenue/Secaucus Road for obstruction of view, 25yo male from New York, NY Ernesto A. Gomez-Vargas was arrested. Gomez-Vargas was charged with Hindering Apprehension after he provided Officers with a false name during the traffic stop. Gomez-Vargas was also issued motor vehicle summonses for Obstructed View, Failure to possess a driver’s license, and driving without a driver’s license. Gomez-Vargas was served with his summonses and then released. On September 20th, at 12:18pm, Hudson County Sheriff’s Dept. had in their custody, 36yo male from Jersey City NJ, William Mainegra. Mainegra was said to have an active warrant out of Secaucus in the amount of $430.00. Mainegra also had an active warrant out of Jersey City in the amount of $100.00. 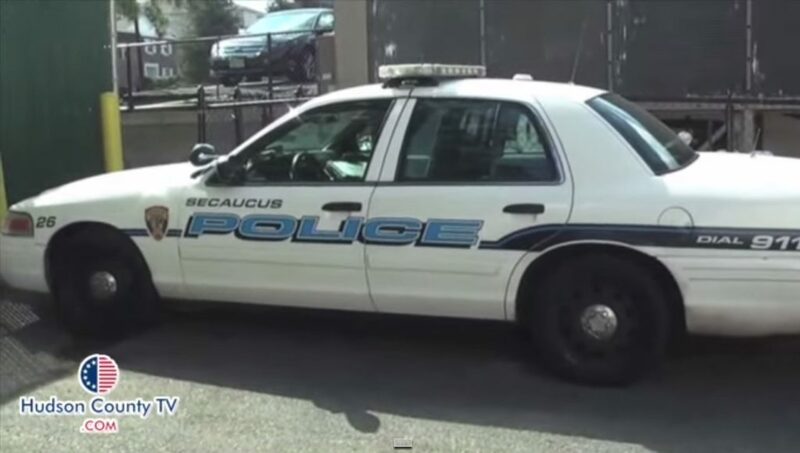 Mainegra’s bail was posted and he was released from the Secaucus Police Department. On September 20th, at 09:44pm, Officers responding to the area of 199 Franklin Street on a report of a male who struck a parked vehicle, arrested was 39yo male from Secaucus NJ, Christian A. Munoz. Munoz was charged with DUI and Possession of a Hypodermic Needle. Munoz was also issued motor vehicle summonses which included DUI and reckless driving. On September 22nd, at 03:34pm, Jersey City PD had in their custody 34yo female Dyethea S Greene. Greene was arrested by Secaucus PD after it was discovered that she had an active warrant in the amount of $500.00. Greene’s bail was posted and she was released. On September 22nd, at 12:20pm, at the Marshalls Department Store, 41yo female from Glen Ridge NJ, Keri L. Napolitani was arrested. Napolitani was charged with Shoplifting $208.86 worth of clothing. Napolitani was processed and released on a summons. On September 22nd, at 11:45am, 23yo female from Stanhope NJ, Lauren M. Ell was arrested. Ell was charged with Filing a False Police Report. Ell allegedly filed a false report alleging her vehicle was stolen. The vehicle was found unoccupied on August 21st in Secaucus and appeared to be involved in a motor vehicle accident. On September 22nd, at 06:05pm, 18yo male from Secaucus NJ, Jordan B. Garcia was arrested and charged with Bias Intimidation and Cyber Harassment. Garcia allegedly posted comments on a social media site targeting a victim’s sexual orientation and by making threats to harm the victim. Garcia’s bail was set at $2,500.00 with a 10% option. The bail was later posted and Garcia is scheduled to appear at CJP in Jersey City.